HTC may have just confirmed the date its new flagship smartphone will be unveiled. 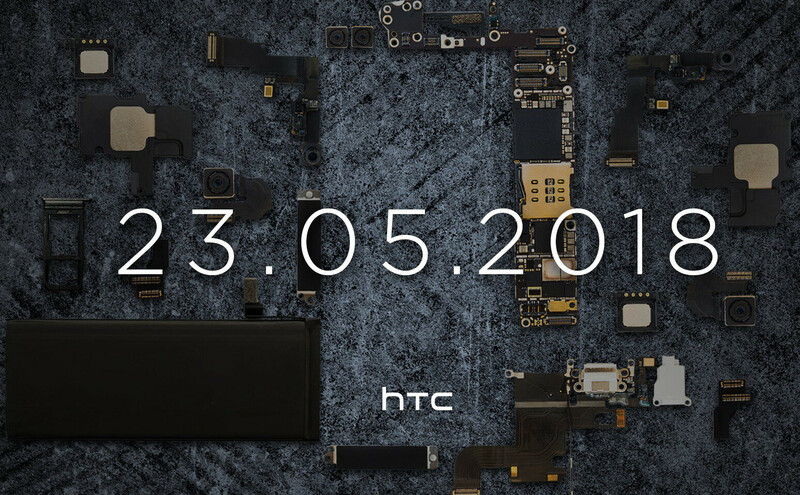 According to an image shared by HTC Germany, the U12+ will be announced on May 23. The Taiwanese company chose an interesting way of announcing the event, as the image teased shows all the components that go into a smartphone. We can't say for sure if they belong to the U12+, but it's highly unlikely the announcement will involve a different device. Just like every other flagship launched this year, the HTC U12+ will come equipped with a powerful Qualcomm Snapdragon 845 processor, paired with 6GB RAM and, possibly, 128GB internal memory. Thanks to the live pictures leaked last week, we now know the smartphone will feature a mirror-like glass finish, but there will be no notch for HTC's flagship. As expected, the U12+ will include dual rear cameras and a rear-mounted fingerprint sensor. HTC U12+ does not include a 3.5mm audio jack, so you'll have to do with the USB Type-C port that's been positioned on the bottom side. It remains to be seen how much the U12+ will cost, but it will probably be expensive like all HTC flagships before it. The king comes. Bring it on. If you want frequent software updates get the pixel or the iPhone. Other companies especially the Chinese ones rarely provides such updates so avoid those. Anyone think that this may be a hint for another translucent phone? Maybe that or the aforementioned "frame less" display.